Take Exit 779 and proceed south. This road will become 48th street. Proceed down 48th street and turn left at 49th avenue. Turn right at Golf Course Rd. and the left on Fairway Drive where the entrance to the golf course will be located immediately on the left. Consistently awarded top honors for course conditioning and golf services, the course and its dedicated staff offer guests an enjoyable experience. 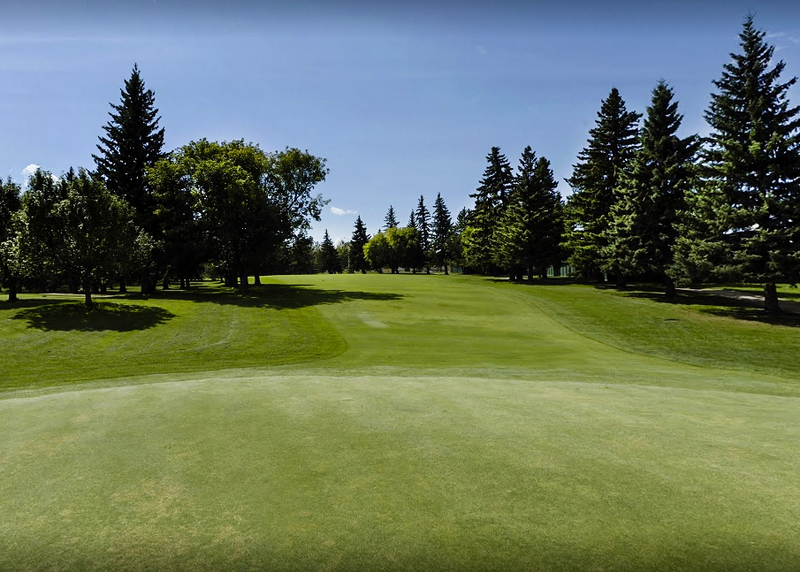 Owned and operated by the Town of Stony Plain, the course operates under the umbrella of Community Services. Many individuals within the town structure aid in supporting the course and its associated functions and a true team spirit is what makes the course successful. 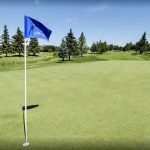 The commitment by the Town of Stony Plain to always strive to improve, has the course sought by regional and national events. The facility has hosted over 15 major events including regional, provincial and national championships. Located just minutes west of Edmonton, we would be pleased to host your next tournament, banquet, wedding reception or company function! Afterwards take time to walk along Main street or view the many murals depicting the history of the town in various locations. Our friendly community will make your time an enjoyable whatever your activities may be. 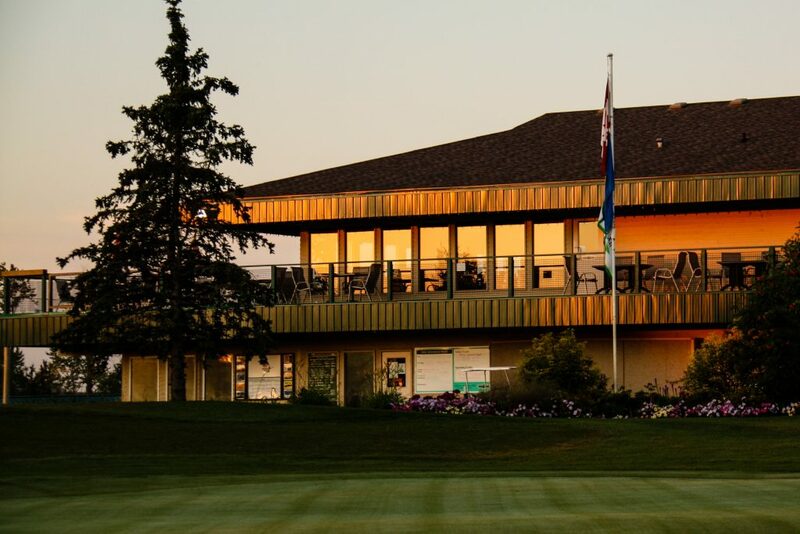 2018 Tournaments: Stony Plain Golf Course is the perfect venue for your 2018 company event. With seating up to 150 people, two patio decks and immaculate course conditions, we know we will continue to exceed expectations. Please call or Email Jeff Cuthbertson at (780) 963-2133 to inquire about available dates during the 2018 season. 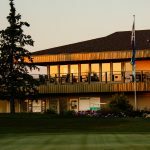 Things continue to change, for the better, at the Stony Plain Golf Course so if you haven’t been there in a while, maybe it’s time you headed back. You see, with some groundwork done last fall, the municipally-owned 18-hole track has suddenly taken on a whole new face, first as you start your round. And as you end it, as well. But the changes go far beyond that cosmetic touch-up alone. Jeff Cuthbertson, the Executive Professional at the Stony course, explains the alterations to the first and last holes this way: “The big thing is, we’ve cleaned up a lot of areas. The first hole, with the pond on the lefthand side, we’ve taken out all the brush, the shrubs, really cleared the overgrowth to clean it all up. The pond is now visible from the first tee and it’s going to make the first hole definitely a little more intimidating than it has been in the past. While you’ll be staring at that water as you let go with your first hoped-for bomb of the day, you’ll also be seeing that same hazard, from the other side, with the last big volley of your round on No. 18. There, the pond has been cleaned all the way around and yes, there is a chance you could be hitting over that water every now and again. While many of the course’s fairways are already defined by large growth trees, it sounds like there could be more of those things made of 90 per cent air coming down the cart path. “It might not be too noticeable because of the number of trees on the golf course but we are going to continue to add trees to the golf course this year,” noted Cuthbertson. “It’s a replacement program, really,” for some of the older trees that have succumbed to nature. The hallmark of the Stony Plain Golf Course though has always been the large putting surfaces which are highlighted by the great white sand bunkering now in place. As for those bunkers where the sand is of a consistent texture all the way around the course, he noted, “The big thing is, anytime you’re using the white silica (sand) alongside the vibrant green, it really does frame everything,” making for some memorable green complexes. 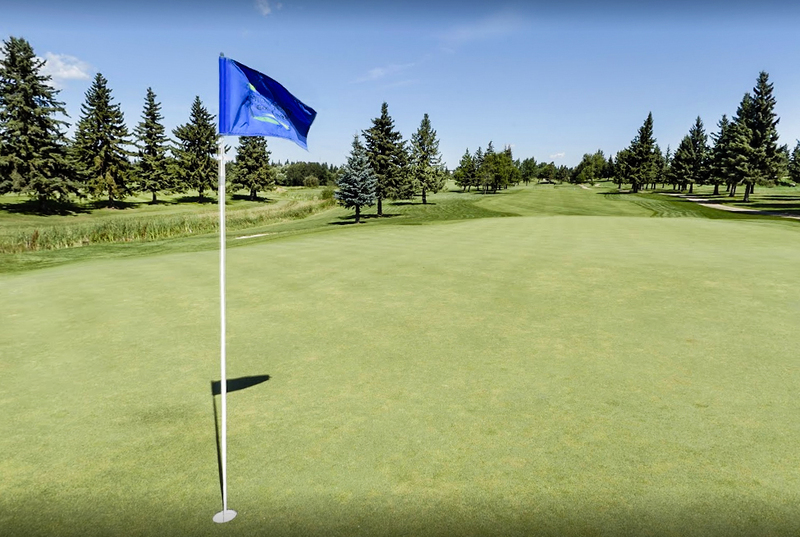 At the Stony Plain Golf Course the public is welcome anytime and can now take advantage of 7-day advance booking privileges in order to secure a time that’s good for them. And on top of that, there are some special prices at particular times of the day. 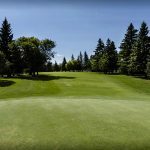 The pro shop staff is always happy to see returning players, as well as newcomers, looking to experience some of the best greens in the Edmonton area. “We’re running mid-day and weekend specials to encourage people who don’t want to play at 7 or 8 o’clock in the morning,” said Cuthbertson, noting the 11 a.m. to 2 p.m. slots are a good time to tee off. As well, the course this year is offering a twilight rate, every day, all year long. And if you’re looking for new gear the Stony Plain Golf Course has you covered there as well. They have a policy in place that says they’ll meet, or beat, any big box store offer on inline, current top line items including TaylorMade, PING, Callaway, Titleist and Mizuno. The also offer full custom club fitting with the aid of a launch monitor to make sure your new sticks are built to your swing specifications. In closing, Cuthbertson agreed fully that his track maybe isn’t always going to eat your lunch but if you take it too lightly, it can indeed eat your lunch. “I think people will be impressed when they come out and see the golf course. There have been some changes here the last few years, new thoughts, new ideas,” which now includes opening players’ eyes wider with the dangers evident with their first and last tee shots of the day. For booking an online tee time at the Stony Plain Golf Course, go to www.playgolfalberta.com.